As per their new blog posted by the Handwriting Team of Google Research, they have stated that this new app can support 82 languages in 20 distinct scripts, along with supporting Emojis which users can simply draw using their fingers or stylus. The last resistance to the usage of smartphones have been the inability to use touch screen for typing; users who were accustomed to physical keyboard had always this excuse for avoiding smartphones. But with this app, this last bastion of resistance is also expected to overcome. 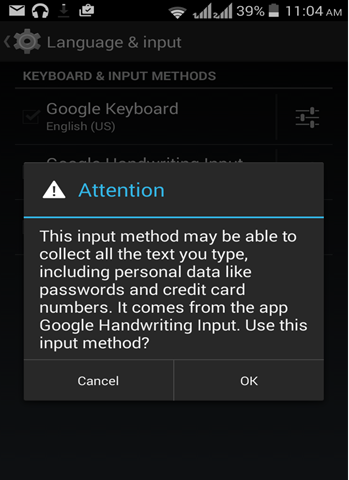 Users who are not comfortable with touch keyboard can opt for this handwriting app as an input method, and carry on their digital conversations. Another usage can be during movies or meetings, when there is lots of noise around and usage of voice based command is not possible, and hitting the right buttons for typing can be a challenge. 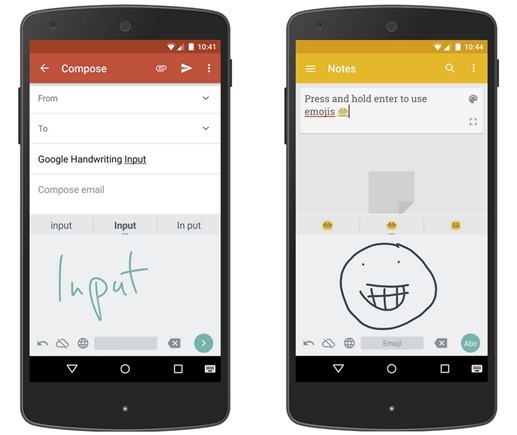 Users can quickly opt for this handwriting mode, and scribble their messages. The advantage of recognizing regional languages such as Hindi, Marathi, Tamil and Bengali will be an further advantage. Large Scale Language Modeling: Google has been working extensively on capturing large amount of data (voice or digital), and converting it into machine readable language, in a real time. They have developed their own N-Gram model for the same, and it formed the background of this app. Multi Language OCR: Google has developed their own multi language Optical Character Recognition (OCR) mechanism, with minimum error ratings using N-gram models. Large Scale Distributed Networks: Using a unique Distributed Model, Google engineers have successfully mapped and stored billions of character images for translation and recognition. They have leveraged this platform for the new handwriting app. Nearest Neighbor Search in Google Correlate: Google stores billions of searches which happen everyday; and using this big data, they have formulated an innovative “Nearest Neighbor” for character recognition and presentation. Thus even if the scribble you have entered is not perfect, this app will pick it up and showcase the exact word you need. But.. What About Privacy and Data Security? We tried this app, and scribbled lots of words, which were caught and showcased in machine readable language with amazing clarity. But before using this input method, users need to select this as default input method by going to Settings > Keyboard & Input Methods. According to this, this app will collect all personal information, including passwords. Now, that is something which no Android user will ever wish for! Another issue which we located was fortunately, an optional one, unlike the above one which was mandatory. Once installed, and ready to use, there is an option to connect this app with Internet, which will intentionally send all inputs to Google for enhancing their algorithm and making it robust. We wondered whether any threats or anti-national statements written using this app can be used during legal proceeding, as Google is going to store this data. 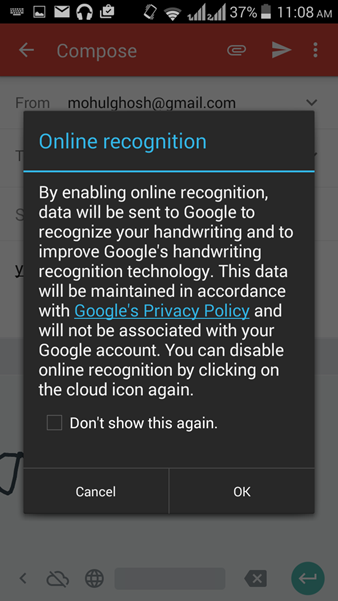 Leaving aside the privacy issues, and the data capturing mechanism, we found this application top rated, highly advanced and one of the best for handwriting purpose.